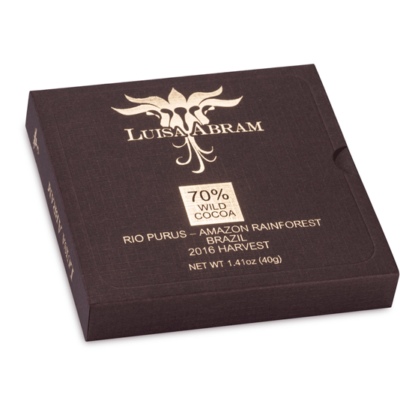 FLAVOR PROFILE: highly variable across the spectrum marked by 3 general types: a) wood (cedar, spruce, immortelle a/k/a ‘madre de cacáo’) & spices (cinnamon, clove); b) grass & butter (including tobacco leaf / leather tannins, sometimes coconut); c) tropical citrus fruits (often reds like sour cherry). Introduced by the Spanish in the 16th century, Trinidad became a life raft for cacáo’s diversity survival, in a near-ideal setting – on an island… essentially its Noah’s Ark. 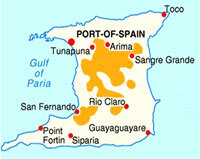 Ever since diseases during the 18th century plagued Theobroma cacao trees on the South & Central American mainland, Trinidad has rescued many seedlings & transplants, a chocolate island refuge where threatened Criollo from the coastal valleys of Venezuela were interbred with sturdier Amazon cacáo introduced by Capuchin priests in 1757. This marks a watershed event. Subsequent arrivals from Ocumare (Venezuela), Nicaragua & other places in the 20th century all intermixed to form recombinant hybrids, christening both the notion of cacáo strains (at the end of the 19th century several names in vogue identified various kinds; sadly, this info is now lost) as well as the term Trinitario (a bit of a misnomer, meaning ‘native to Trinidad’). 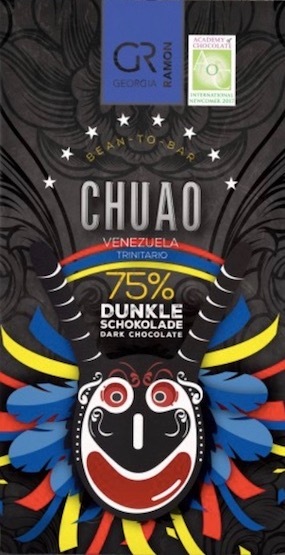 More than just cacáo came from Venezuela. So too its people. Fleeing strife on the continent, these so-called panyols (peons) along with free blacks, free people of color &, eventually, free slaves first squatted on land typically held by plantation owners before they themselves might acquire ownership. They more than plantation holders were responsible for planting cacáo which competed with tobacco as the 2 principle crops cultivated in Trinidad. Much of the work here can be felt far beyond the small island. 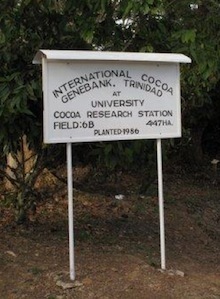 The Cocoa Research Centre (CRC) at the Univ. of West Indies started in 1930. Nearby is Marper Farm, which Maricel Presilla, author of the New Taste of Chocolate, aptly calls the Manhattan Project of cacáo research. It was founded by F.J. Pound after his expeditions of the Amazon in 1937-38 to gather primary germplasm from the center of cacáo diversity. 100 trees selected for their ability to resist the dreaded Witches Broom anchored the collection. The trees at Marper, though now old, gave rise to the newer ICS hybrids (Imperial College Selections). CRU also oversees another of Pound’s legacies – the Int’l Cocoa Genebank, Trinidad (ICG,T), established in 1982. It houses world’s largest living collection: 16 clones for each of roughly 2,500 accessions on a 100 acre tract – far & away the most genetic cacáo material ex situ (or outside their native habitat) – with continuous introduction of new material, either from expeditions or exchanges with other countries. The 4 major types represented are Ecuador Nacional, Nanay, IMC & a miscellaneous category that includes a little bit of everything (Criollo, Parinari, Guiana, & of course, true Trinitario). Selections with desirable agronomic traits are distributed to cocoa-producing countries throughout the world via intermediate quarantine at the University of Reading, UK. A unique renegade, Trinidad still polishes some beans (said to improve appearance, imparting a shine &, some claim, protects against infestation) & sets its own prices independent of world commodity markets via the CCIBTT (Cocoa & Coffee Industry Board of Trinidad & Tobago). 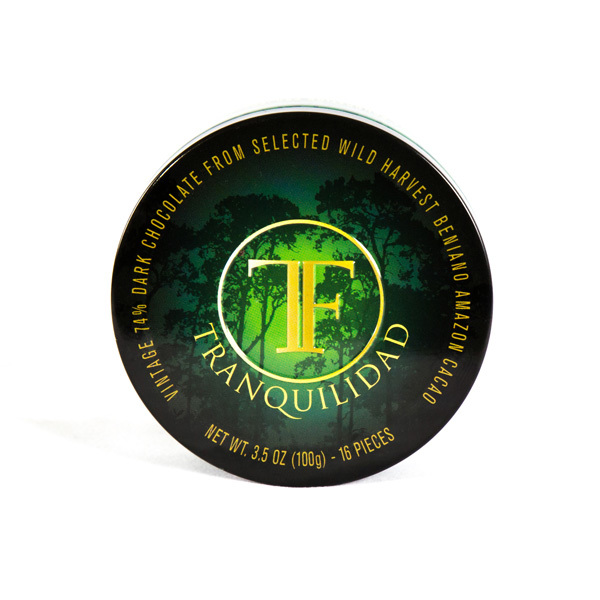 And for good reason: Trinitarios from Trinidad are highly coveted, especially the designated “plantation grade”. On the downside, production continues to decline after the discovery of oil off the coast that outbids cacáo for labor, leaving some estates fallow or under-capacity.